The Ellis Island has long been known to the immigrants as a gateway for the United States—well over 60 years. It was thought to be the busiest immigrant station. This article is all about Ellis Island so that know just about any thing relating to this memorable island. The Island continued to serve worldwide immigrants for 60 years until it was closed in 1954. The Ellis Island doesn’t only host the museum of immigration, it also became the part of the Statue of Liberty National Museum in 1965. Some part of the Island is believed to occur in New York while the rest is in New Jersey. Lately, the southern side of the Island had been closed to the visitors. We’re just about to read some of the most fascinating Ellis Island facts for kids. 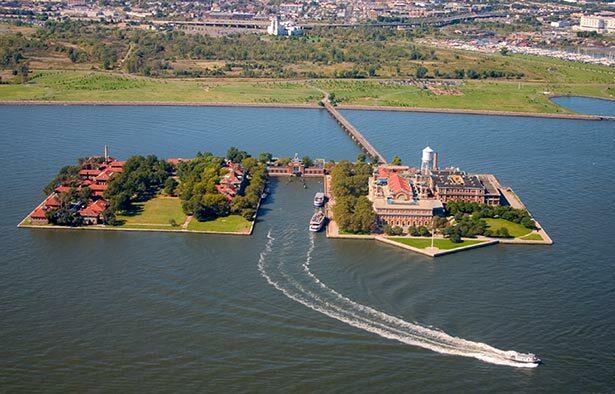 Ellis Island was probably one of the three island that occurred on the oyster banks. The other two banks were Liberty Island and Black Tom Island. All these banks were collectively known as Oyster Islands. The Lenape population and the settlers of New Netherlands used to rely on these islands for food. The Islands continued to provide primary food to the local communities for as long as 300 years. The Ellis Island earned another name as Gibbet Island when many pirates were hanged on the scrubby trees in 1760s. A few years later, a colonial merchant named Samuel Ellis purchased the island. In 1785 however he wanted to sell Ellis Island but couldn’t. Before the island was officially inaugurated, about 8 million immigrants had arrived in New York as early as in 1850s. On April 18, 1890, the federal government took over the control of immigration as the Congress approved the budget of $75,000 to build the inspection station on the Island. The Government expanded the size of the island by digging tunnels and subways. The first of the inspection stations was constructed on January 1, 1892. It had three stories. On the first day, 700 immigrants successfully passed the station. In the first year, as many as 450,000 immigrants passed over the dock. On June 15, 1897, the Ellis Island was burned to ashes. As it turned out, the immigrants’ records that related to the year 1855, were also destroyed. During first five years of its launch, the inspection station processed 1.5 million immigrants. In 1954 when it was finally closed, the U.S. Bureau of Immigration had processed 12 million immigrants. Most Immigrants who arrived at Ellis Island were Europeans including Belgium, France, Netherlands, Great Britain, Switzerland, France, Germany, and Scandinavian countries. Historical facts suggest that as many as 1 million immigrants made it to the United States somewhere in between 1905 and 1914. According to officials, about 5,000 immigrants used to arrive each day at Ellis Island. Currently, the 100 million Americans are most likely to trace their ancestry to immigrants who made it to the Ellis Island. Where is Ellis Island Located? It has long been a subject of debate if Ellis Island is located in the New York or New Jersey. In 1998, the United States Supreme Court issued an order stating that since most of the Island lies in New Jersey, it is located in New Jersey and not in New York. Is the Statue of Liberty on Ellis Island? Yes, the world’s famous Statue of Liberty is located on the Ellis Island. It is also called Liberty Enlightening the World. 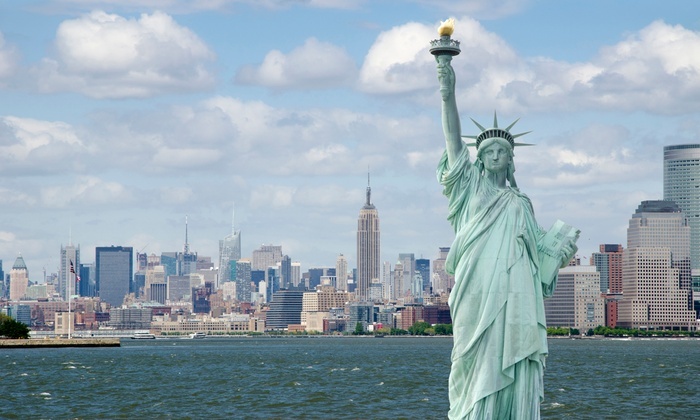 The Statue of Liberty is primarily managed by the National Park Service. When Did Ellis Island Open? The Ellis Island officially started functioning on January 1, 1892. The main wooden building which was burnt down in 1897 is currently the National Museum of Immigration. The office started functioning again in 1900. Two chief architects William Alciphron Boring and Edward Lippincott Tilton had designed the building at a cost of $1.5 million. Both architects were awarded gold medal for redesigning the structure. 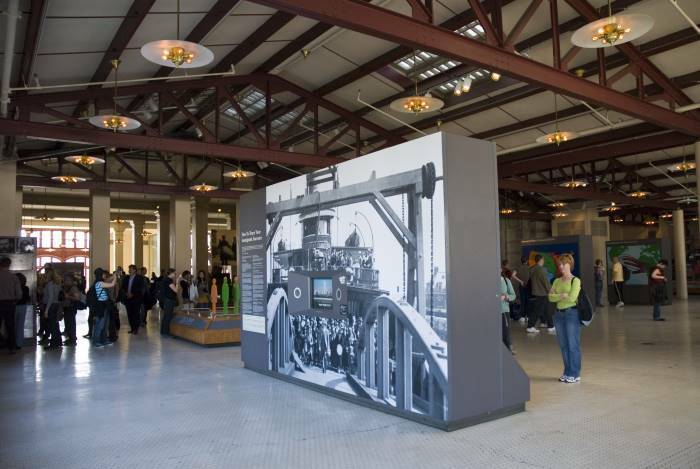 On May 20, 2015, the Museum earned a new name as Ellis Island National Museum of Immigration. Every year ceremonies are conducted in which the Ellis Island Medal of Honor is awarded. Irving Berlin, a renowned composer, made to the U.S. on 1893 through Ellis Island. The famous bodybuilder Charles Atlas, had arrived in 1903. His original name was Angelo Siciliano. Claudette Colbert, a well-known Hollywood stardom, had entered the New York in 1911. Charles Chaplin had also passed through the Island on 1912.
Who was the First Immigrant to arrive at Ellis Island? The first immigrant to arrive at the Ellis Island was a 17-year-old Irish girl Anne Moore (Apr 24, 1874 – December 6, 1924). And that makes Ireland the first immigrant country. Is Ellis Island in New Jersey? Yes, the Ellis Island situates in New Jersey for the most part of the island is located in New Jersey. What was Ellis Island used for? The Ellis Island had long served the immigrants around the world. It was used as a gateway for the immigrants. From 1892 to 1954 when it was finally closed, about 12 million immigrants arrived at the United States through the dock of Ellis Island. The Ellis Island had played a key role in inviting immigrants for good 60 years. From 1892 to 1954, the Island had recognized the immigration policy and welcomed just about everyone. Most immigrants had belonged to western Europeans. Although it wasn’t the only entry point, the Ellis Island was definitely the busiest station. All records related to the 1840s and 1850s were burnt down when the fire broke in 1897. The Ellis Island occurs on the Upper New York Bay, just minutes away from the southern Manhattan Island, New York. Currently, it covers 27.5 acres of land and it is located north of the Liberty Island, and east of Liberty State Park. 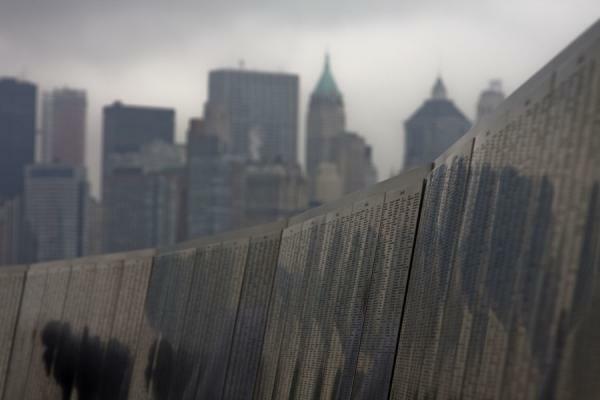 The Ellis Island Wall of Honor displays the names of those families as well as individuals who donated to the Statue of Liberty—Ellis Island Foundation. The date, country origin, and names of many individuals are not really verified. Not all those who have arrived through the Ellis Island are mentioned on the Wall. Similarly, all these inscribed names on the Wall do not necessarily reflect on those individuals who have arrived only through Ellis Island. In the early 17th century the Mohegan Indians had lived near the Ellis Island. They used to call it the Island Kioshk. Michael Paauw, a Dutch man, had purchased the Island and changed its name to Oyster Island. He named it because the island was pretty abundant in shellfishes. The Ellis Island got another name as Gibbet Island in 1700s because many pirates were hanged on the trees. During the revolutionary War, a merchant named Samuel Ellis acquired the island and he built a tavern to facilitate native people. Following the death of Samuel in 1794, the New York State purchased the island from his family. The NY State acquired for $10,000 in the year 1808. The Island was then used for placing war ammunitions during civil war. Thousands of Germans had arrived through the island as there was political unrest in Germany. Years later, many other Europeans saw this opportunity and they also began arriving to the United States. The Ellis Island was closed following the end of Civil War. The federal government made a decision to shift the New York immigration station to the Castle Garden. They dug many tunnels which ultimately made the island twice its original size. In 1875, the federal government put a ban on criminals to enter into the country. In 1890, the federal government assumed the responsibility to build the immigration station on the island for $75,000. The Ellis Island Immigration Station was officially launched on January 1, 1892. On June 15, 1897, fire broke out and it didn’t not only burn the main building, it also destroyed the 1850s’ old records. The government moved the barge office to the Manhattan’s Battery Park. 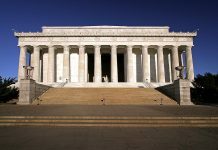 The President Theodore Roosevelt reopened the building in 1907 and made it fireproof. During World War I, there was a sharp decline in the immigrants’ arrival. Immigrants were longer interested in the U.S. because the country entered the war in 1917. The Ellis Island Hospital started functioning in 1917. President Harding signed the law according to which not more than 3 percent of the total U.S. immigrants can enter from the immigrating country. According to Immigration Act of 1924, the total number of immigration was restricted to 165,000 each year. During Great Depression, many immigrants preferred to leave the United States. On 1949, the U.S. Coast Guard occupied the entire Ellis Island. On November 1954, all 33 structures on the island were shut down.